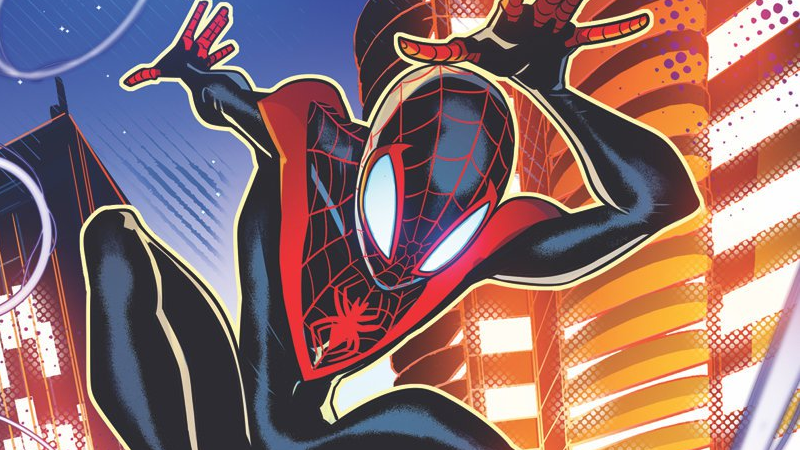 Miles Morales swings into action on the cover of IDW’s upcoming Spider-Man series. Yes, Marvel is a huge comics publisher more than capable of making its own comic books aimed at younger kids. Hell, they have a good bunch of them going right now! But a new deal between Disney and IDW Publishing is not the first time the House of Mouse has looked beyond Marvel to target younger comic readers. In a move officially announced this morning, IDW will collaborate with Marvel to publish a new line of comics aimed at pre-teen readers. Three series—a Peter Parker/Miles Morales Spider-Man team up, an Avengers book, and a Black Panther book—will launch over the course of the last few months of 2018 and into early 2019, kicking off with Spider-Man in November. The full cover art for Spider-Man. At first, it might seem bizarre, given that Marvel is, well, Marvel. This is directly handing over an attempt to engage with the huge market of young comics readers over to another publisher. And with series like Ms. Marvel, Marvel Rising, and Unbeatable Squirrel Girl, it’s not like the company isn’t already dipping into all-ages friendly sorts of comics already. But it’s not the first time Disney has cut a deal like this with IDW—the company already publishes a line of Disney comics based on the films and shows. There’s DuckTales for young readers as well as Star Wars Adventures and Forces of Destiny, kid-focused takes on the galaxy far, far away even though Marvel is the primary publisher of Star Wars comics. Beyond that, it’s a way for Disney to differentiate Marvel as its publisher for teenager and “adult”-targeted series with its franchises—like I said earlier, while there are kid-friendly Marvel books, most of the typical fare (especially the big movie hitters, like the Avengers characters and Spider-Man) are books aimed at older readers; they present a daunting barrier for entry for kids introduced to these characters through the films and animated series. IDW’s line represents an easily-accessible entry point for young readers without throwing them into the deep end of current comics continuity, where Captain America is confronting harsh truths about the American spirit, Black Panther’s fighting an interstellar war, and Peter Parker is macking on Mary Jane Watson and facing academic fraud scandals. So yes, it’s a little weird. But if it means an easier time for one of the fastest-growing comic book readerships out there to get into Marvel heroes, it’s a move that makes sense.